Russia may amend its financial regulations to allow Islamic banking in abid to attract funds from Muslim countries, as its economy struggles with a recession and Western sanctions. The move comes as economists, including those at the International Monetary Fund, say U.S. and European sanctions are having a significant negative impact on the Russian economy by blocking important Russian companies from accessing global financial markets. Officials have created a task force charged with implementing Islamic banking in the country, including amending the country’s banking laws, said Dmitry Savelyev, deputy chairman of the State Duma Committee on Financial Markets and the leader of the task group, the TASS news agency reported. The market for Islamic finance is expanding rapidly and should reach a total size of $2.6 trillion by 2017, according to a report by global consulting firm PricewaterhouseCoopers. Another estimate by the IMF said totalglobal Islamic assets would reach $3.4 trillion by the end of 2015. Russia has a significant Muslim minority, estimated at about 15% of the population, which could make the practice attractive here. Konstantin Baymukhashev, an attorney at UFS IC, said the changes in Russian legislation should help attract investment into the Russian economy from Arab countries. Rustam Minnikhanov, the president of Tatarstan, one of Russia’s predominantly Muslim regions, has been one of the most vocal proponents for bringing Islamic finance to Russia. “The Muslim countries have not taken part in the attempts to isolate ourcountry on the international stage, and the latest developments in the world economy have shown that Islamic banks can withstand variousglobal crises and complement the global financial system,” Mr. Minnikhanov said in a speech in June at the KazanSummit Economic Forum. Islamic finance will help Russian companies compensate for the lack of funding caused by the recent deterioration of relations between Russia and the West, he argued. In July, Mr. Minnikhanov concluded a cooperation agreement with the president of Russia’s largest lender, state-owned retail banking giant Sberbank, involving the development of Islamic banking in Tatarstan. Ahmed Mohammed Ali Al-Madani of the Islamic Development Bank, a multilateral Islamic lending organization based in Saudi Arabia, told RIR that Sharia-compliant bonds have also been issued by entities based in non-Muslim countries, including the United Kingdom, and that the worldwide amount of such assets has reached $120 billion. 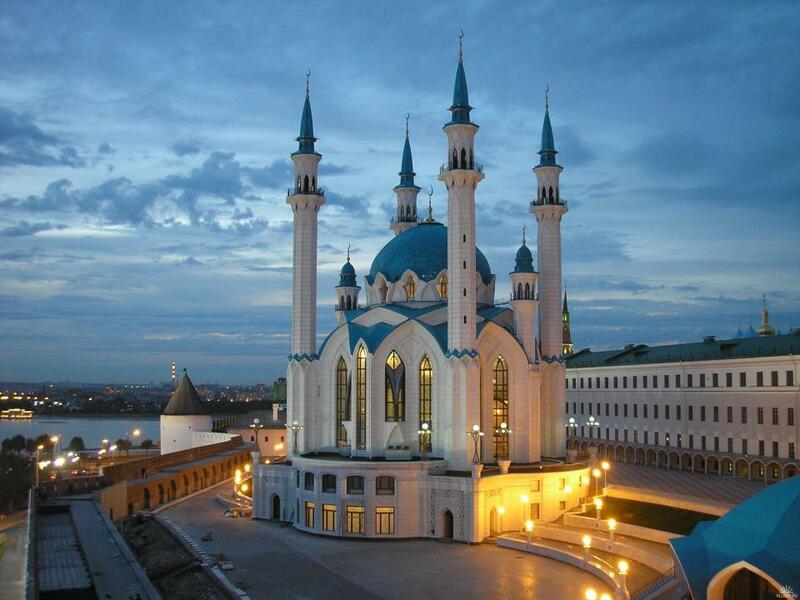 “The republic of Tatarstan could be promoted as an Islamic finance hub within Russia,” Mr. Al-Madani said. Tatarstan’s largest bank, AK Bark, has already attracted some funds based on Islamic investment. Furthermore, in January 2015, local insurance operator Alliance began selling a specialized insurance product called“Halal Invest” that is compliant with Islamic norms. “This kind of business is gaining momentum around the world, and by developing it in this country, we will diversify sources of funding and increase confidence in the banking system,” said Semyon Nemtsov, an analyst at Russ-Invest investment company. However, analysts said Russia is unlikely to see a sudden surge of investment from Islamic countries. “Islamic banking is first and foremost a religious and ideological concept. Its actual financial significance is secondary. This is why there are in fact a great deal of obstacles that hamper its implementation within Russia’s legal and financial system,” said Konstantin Korishchenko, deputy director of the Department of Capital Markets and Financial Engineering at the Russian Presidential Academy of National Economy and Public Administration. According to Mr. Korishchenko, there are numerous factors that will significantly complicate the alignment of Islamic finance and standardized Western banking, including the facts that Islamic regulations require that assets be sorted according to their source and deny explicit interest payments or futures transactions. Moreover, Russia is likely to have more difficulties introducing Islamic finance than do common law countries like the UK. The introduction of Islamic banking will require deep, fundamental changes to Russian law. According to Mr. Baymukhashev, Islamic and Russian banking systems are radically different from each other. “Islamic banks do not provide their clients with loans in the classical sense, but rather sell actual products or act as partners (co-investors) in some kind of a project, thus bearing all the associated risks with the client,” Mr. Baymukhashev explains, adding that Islamic banking also precludes the financing of companies that produce or sell alcoholic drinks. “The difference between those two financial systems is significant. Amending the law is only a part of the ground we will have to cover while implementing Islamic banking in Russia,” says Mr. Baymukhashev.